Thank you Kseniya! She sent the matching postcard to the best stamp of 2013! 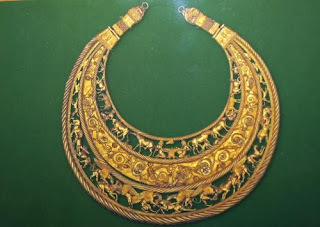 It shows the famed lkg Scythian gold Pectoral excavated by B. Mozolevsky in 1971 from the 35 foot high Kurgan burial mound, Tovsta Mohyla (fat barrow). Thank you Alexander! The massive complete sheet with 2 stamps at domestic, and 2 at international rates? Thank you Hanna! Gorgeous 1999 block of 4 with Scythian gold items; the pectoral as above, bow and arrow case, a calf and a boar. 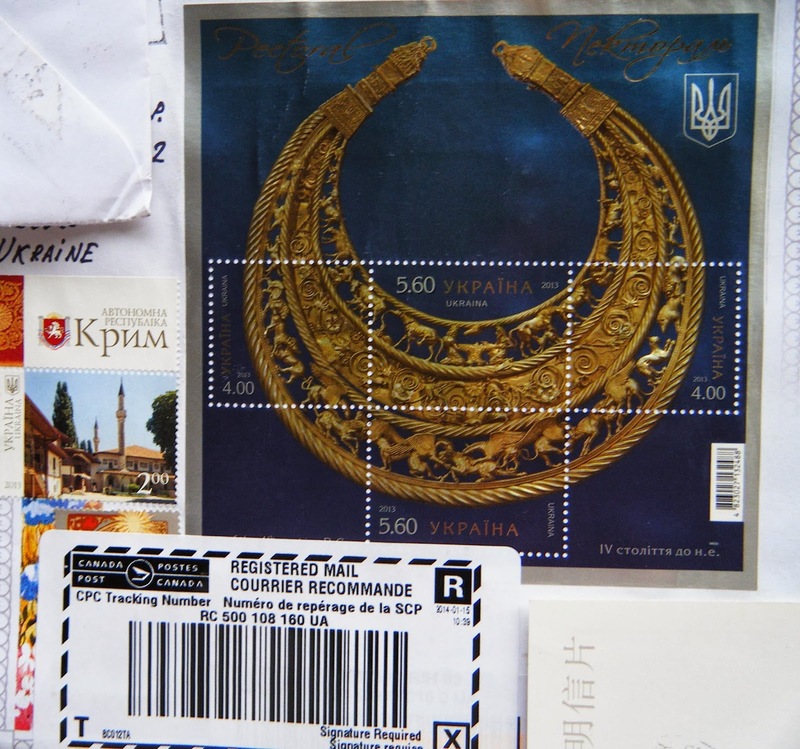 Thank you Kseniya for this postcard of the pectoral. Thank you Vladimir! 1976 'Treasures of Scythian Burial Mound' aerogramme showcases the pectoral now housed in the Museum of Historical Treasures of the Ukraine.